Healthcare is facing reform, and the industry has complex needs. Challenges like new payment models and detailed data reporting requirements are disruptive, and organizations consistently have to demonstrate performance improvement in a constantly changing environment. Our proprietary methodology, the Simpler Business System® (SBS), helps enterprises deliver faster results and lasting improvements, helping provide the impetus for continuous improvements across your operations. Provide the strategic guidance necessary to ensure the enterprise transformation is aligned with the future direction of the organization. Work with the core clinical and business processes to convert a vertical, silo-based business model to a horizontal, patient-centered business model. Optimize revenue cycle management by implementing a solid methodology for process improvement that identifies waste, and eliminates redundancies, defects and rework. Build, redesign or remodel a facility optimizing all the flows within a healthcare system—and do it at the appropriate cost while prioritizing safety, quality and reliability. Bring unique insights to the supply chain community to reduce costs, improve outcomes and increase value across the supply chain enterprise. Provide a rapid and disruptive design approach to manage population health, develop a new care model or service line. Mitigate stress and workload to improve clinician satisfaction engagement and optimize patient care. Position HR and OD as agents of change, enabling a new culture and supporting sustainable enterprise transformation. 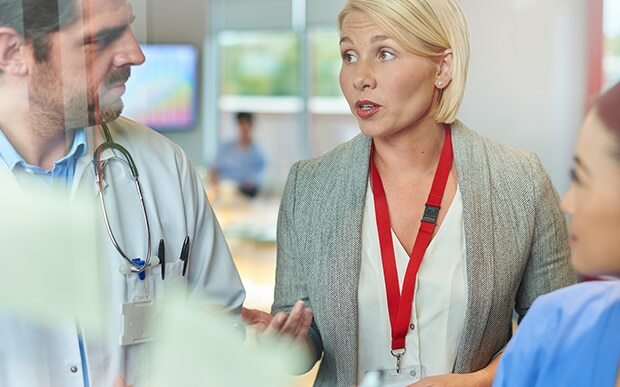 AHA details how the health system partnered with Simpler to transform their Board and change the culture of their organization by embracing Lean principles. Our case studies demonstrate what a difference a Lean implementation can make, but there’s nothing like actually being a part of that working environment. Observe first-hand how different organizations utilize this powerful management system to achieve success.